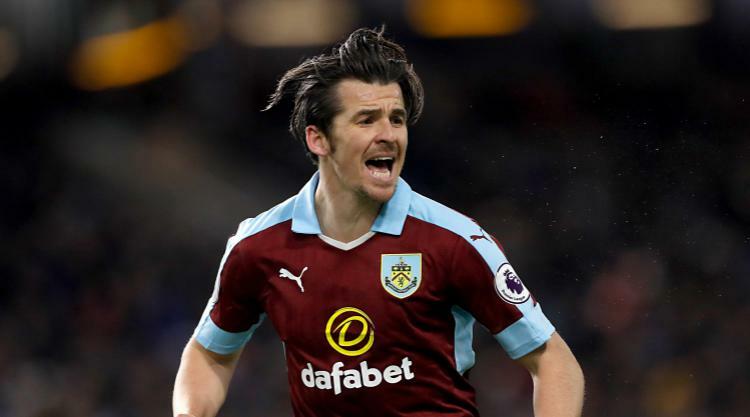 Joey Barton announced his return to the Premier League with a 78th-minute winner as Burnley moved into the Premier League's top half with a 1-0 victory over Southampton. The 34-year-old agreed to rejoin the Clarets earlier this month following an ill-fated spell with Rangers and 601 days after his previous appearance in England's top flight, when his QPR team were beaten 5-1 by Leicester, Barton came off the bench to place home a late free-kick. Turf Moor had been the venue for each of Burnley's previous seven top-flight wins this season and it was on their home form alone that they entered this contest with a chance to move into the top half. Away from east Lancashire it has been a different story, with just a solitary point returned from their travels, and the 3-1 loss in this reverse fixture back in October had seen Saints rain in 34 shots at Tom Heaton's goal. The England international was less busy in the opening 45 minutes here, even if Southampton spent much of the half on top. Dusan Tadic steered one attempt wide from the left-hand side of the box before lashing in a full volley from a similar region that Ben Mee had to clear on the back post. Mee was an unlikely threat at the other end having headed a corner wide and fired another try off target from the edge of the area, but he was caught out in his defensive duties as Saints launched a 40th-minute counter. Shane Long lost Mee down the right and his cross was met by the oncoming James Ward-Prowse, whose downward header was beaten away by Heaton. Tadic seized upon the loose ball and managed to pivot to shoot only for Michael Keane to hack away. Saints' problems surrounded their lack of an attacking spark and they came into this fixture with only Hull and Middlesbrough having scored fewer league goals this term. Their 20th of the season might have arrived had Nathan Redmond tried to convert Pierre-Emile Hojbjerg's left-wing cross with his left foot rather than tamely side-footing into the ground with his right from 15 yards out. Steven Defour tested Fraser Forster from range while Long headed a Cedric Soares cross into the side netting, but it seemed if anyone was going to get a winner, it might be either of two substitutes - returning Burnley-born forward Jay Rodriguez, or the Clarets' Barton. The latter's first act was to clear away inside his own box from Long as Virgil van Dijk's header back across from a free-kick caused panic in the Clarets box. Then, just five minutes after coming on, Barton was presented with a free-kick after Oriel Romeu fouled George Boyd. From around 25 yards away from Forster's goal, Barton deceived the Saints stopper by planting the set piece low, around the wall and into the net. Ryan Bertrand and Van Dijk were both denied equalisers by Heaton, who then made a terrific double save to thwart Rodriguez and Josh Sims, the latter somehow stopped when Heaton dove down to his left on the line.